Nona Zakharyan is a graduate of the Tchaikovsky Special Music School for Talented Students. She then completed her Bachelor and Master’s Degrees with honors at the Komitas State Conservatory (USSR) where she studied with Prof. Svetlana Dadyan and Prof. Villy Sargsyan, a renowned performer and pedagogue in the Soviet Union and abroad. She earned her 2nd Master’s degree in Piano Performance from the University of Wyoming where she subsequently taught piano. Her teaching technique is based on Russian and American methods of piano performance.Mrs. Zakharyan has been a prizewinner in several competitions national and international, including 1st Prize in Midland/Odessa Symphony competition in 2003, Grand prize in the Fort-Collins Symphony concerto competition, Colorado in 2004. She appeared as a soloist with Midland/Odessa symphony orchestra, UW Symphony orchestra, Fort Collins Symphony orchestra and also performed solo recitals in Armenia, Russia, Georgia and USA. Nona is much in demand as a soloist and collaborative pianist, and performs regularly.Mrs. Zakharyan is featured on a compact disc recording of A.Khachaturian piano concerto with Fort Collins Symphony Orchestra which was released in 2004. She is a guest judge in Leana Cohen music festival and many others, also active member of Music Teachers Association of California. Her students participated in many competitions earning the highest ranks.She has been teaching piano performance and theory of music for the past 12 years. Dr. Anna Harutyunyan graduated from Tchaikovsky Special Music School for Talented children with a silver medal. Ms. Harutyunyan holds the Honored Bachelor’s and Maser’s Degree in Music Performance from Komitas State Conservatory in Armenia, from the class of the famous Professor Georgy Sarajev. She later received Doctorate Degree from the same institution majoring in Chamber Ensemble. After graduation she was offered a full time position as a piano teacher and accompanist at the State Conservatory. Dr. Haruyunyan performed solo recitals as well, as performed with the National Chamber Orchestra of Armenia. Her teaching method is based on the famous classical Russian techniques. 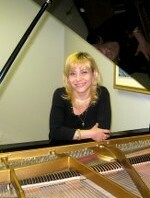 Dr. Harutyunyan has been teaching piano performance for more than 15 years. Dr. Davit Sargsyan is a graduate of the Tchaikovsky School of Music, a special school for talented students in the former USSR. Mr. Sargsyan earned his Master’s and Doctorate Degrees in violin performance from the Komitas State Conservatory of Music where he studied with Dr. Z. Sargsyan whose teacher was a student of a famous Leopold Auer. He also holds an Artist Diploma from Duquesne University (Pittsburgh, PA) and a performance certificate from the University of Wyoming, where he was awarded a Concertmaster Fellowship and Teaching Assistantship. 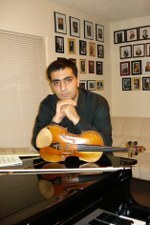 Mr. Sargsyan has extensive orchestral experience with such orchestras as Pittsburgh Ballet and Opera Theatre Orchestra, Colorado Symphony Orchestra, Altoona Symphony Orchestra (Assistant Concertmaster), Cheyenne and Fort Collins Symphony Orchestras (Principal First Violin), Missouri Symphony Society. Mr. Sargsyan had participated in Master Classes with well known musicians, among them Jean Ter-Mergerian, Tibor Varga, Vladimir Spivakov, members of Takacs String Quartet. Mr.Sargsyan appeared in concerto performances with Duquesne Symphony Orchestra, Yerevan Symphony Orchestra, UW Symphony Orchestra and also performs numerous solo and chamber music recitals. He is a guest judge in Leana Cohen music competition and many others, also an active member of Music Teacher’s Association of California (MTAC) and American Federation of musicians (AFM). Mr. Sargsyan has been teaching violin performance for more than 13 years and during his teaching career many of his students became winners of national competitions and orchestra auditions. Arpine began her musical journey under the instruction of her mother, a folk instrument teacher. Shortly, she became a budding accompanist falling in love with the craft of making music. Her adventure continued at Komitas State Conservatory of Yerevan, in Armenia. It was here that her talents caught the eye of many including the talented Dr. A. Khachatryan. Arpine was awarded the second prize in “Amadeus” competition and she got the first place in “Golden Swan” tournament in Kirovakan, USSR. She has won “Best Performer of Armenian Music” award . Well-known Armenian pianist S. Navasardyan invited her to have a master-class together for the audience. Arpine went on complete her Bachelor’s and Master’s degrees and upon graduation went on to teach music locally in Armenia. In 2008 Arpine got married and moved to Saint-Petersburg, Russia. In a very short period of time she gained love of her students and continued her private practice there. Armenian community in Saint-Petersburg and the leader of Armenian cultural center at the Armenian Church Anna Bagramyan constantly were inviting Arpine for various projects and performances. Arpina Dokholian has guided her students on their own adventures in music and has been doing so for the last 12 years. Her love of folk music continued as she performed in many national shows. As of 2013, Arpine has come to America where her musical adventure continues as a piano teacher and accompanist. Arpine employs a flexible and creative educational approach that is customized to each student’s age and stage of development. Her teaching combines a solid foundation in ear training, sight reading, and music fundamentals as the basis for students to develop higher level artistic interpretations, a personal tone, and spontaneous musical improvisation. As a teacher, Arpine strives to introduce her students to a broad range of musical possibilities, helping them develop a deep appreciation of the piano. Many of her students have won important piano competitions and festivals. Melanya Harutyunyan graduated from Sayat-Nova Special Music School under outstanding teacher Elena Katz. She continued her musical career by entering to R. Melikyan Music College. After graduation she continued her studies and received her Master’s Degree at Komitas State Conservatory with honors. 1993 she moved to Germany. She was successfully running her own private studio and also worked as an active accompanist. During these years she appeared in concerts with well known musicians, among them violinist Helga Wehdel. They performed in Weisbaden, Frankfurt, also participated in competitions, master classes and gave solo recitals. In 1997 Harutyunyan has moved to USA. Her students received numerous national awards and participated in many music festivals, recitals. They are 1st place winners in South Youth Music festivals, concerto competition in Glendale Symphony orchestra. She has been teaching piano performance and music theory for the past 28 years and has been active member of the Music Teacher Association of California and MTNA. 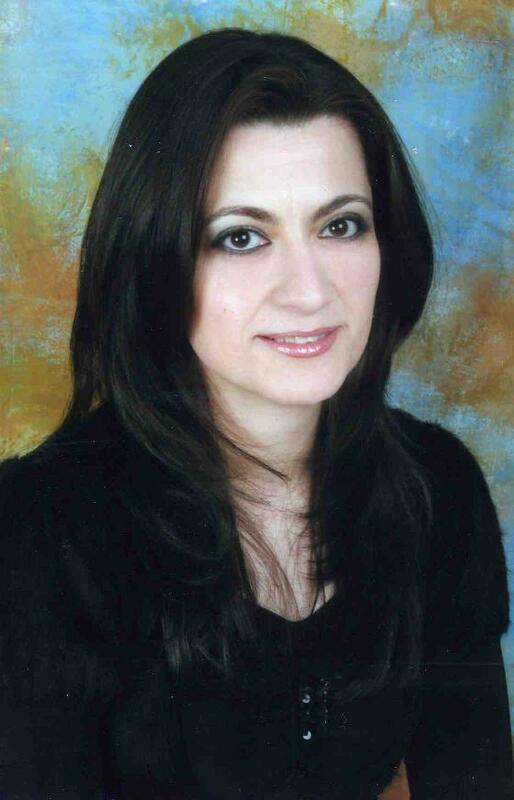 Lilit Mardiyan has 10 years of teaching experience. During this period of time she taught students of different levels and ages in music schools (Sayat-Nova Music School (Yerevan, Armenia), S. Barkhudaryan Music School (Yerevan, Armenia), Russian Overtones Music School (Austin, TX)),universities (USC Thornton School of Music (Los Angeles, CA), Yale University and Yale College (New Haven, CT)) and privately. She took her first guitar lessons at the age of 8 under direction of Armen Gevorgyan (H. Danielyan School of Arts). Then she has continued her studies in Yerevan State Conservatory (class of Hakob Djagatspanian) and USC Thornton School of Music, Los Angeles, California (William Kanengiser’s class), where she also had lessons with Pepe Romero. She has graduated from Yale School of Music (Benjamin Verdery’s class) with Master of Music degree in 2015. -1st Prize in 7th International Youth Classical Guitar Competition in Sinaia (Romania). -2nd Prize in Stafford Classical Guitar Recital Competition (England). -Semifinalist in GFA 25th International Solo Guitar Competition (Los Angeles, California). She has collaborated with Orchestra of State Hermitage, conductors Karen Durgaryan and Federico Mondelci, performed in concerts, music series and festivals in United States, Europe, Russia and Armenia and during these trips she has had opportunities to participate in masterclasses and communicate with major guitar teachers from various parts of the world in person. Thus, Lilit has gathered information and was introduced to the different teaching approaches and was able to see, hear and summarize the degree of efficiency of each approach, trying to extract the most useful and important features from each encounter. Ms. Baghadasaryan is a performing and well experienced voice teacher. She graduated from T. Chuxadjan special music school in Armenia. After school she received her Bachelor Degree from R. Melikyan Music College in Vocal and Piano Performance. She continued her studies and received her Master’s Degree at Komitas State Conservatory majoring in Vocal Performance. While studying at the Conservatory she subsequently taught Piano and Singing lessons in Babajanyan music school. 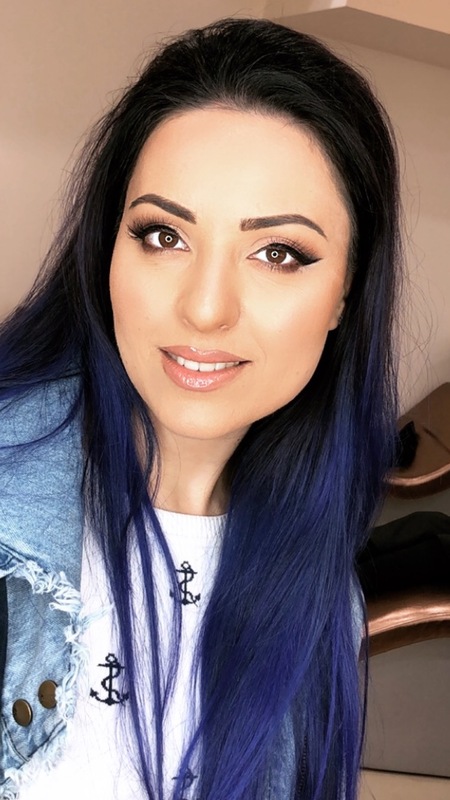 She worked as a solo singer in prestige’s place in Armenia called “State Singing Theater”, and also was featured in many TV shows such as “Krunk” and “Star”. Ms.Baghdasaryan has moved to USA and continued her carrier as a singer. She performed as a featured artist at “Alex Theater” several times, “Sasun” vocal performance and many other places. She has been teaching Vocal since 2003. Victoria started her first violin lessons whith Tony Ilieva at Varna Music School (Bulgary), at the age of 8. A year later Victoria’s family moved to Armenia, where she continued her musical path at the Sayat-Nova Music School and the renowned Tchaikovsky Specialized Music School with Prof. Petros Haykazyan. At both schools Victoria was one of the best students who performed as a soloist, received scholarships among which was Vladimir Spivakov’s Foundation scholarship. In 2005 Victoria entered the Yerevan State Conservatory of Music, class of Prof. Bagrat Vardanyan. Here, at the conservatory she continued her solo career along with launching chamber performances and playing in orchestras like SYOA (State Youth Orchestra of Armenia, 1st section violinist), ANPO (Armenian National Philarmonic Orchestra, 1st section violinist) and NCOA (National Chamber Orchestra of Armenia, 1st section violinist). Victoria participated in numerous master classes held by renowned classical musicians such as Vladimir Spivakov, Maxim Vengerov, Yuka Tsuboi, Valery Gergiev, the Tokyo String Quartet and others. After graduating the Conservatory and earning her Master’s degree in Violin Performance Victoria starts giving private violin lessons along with assisting her former professors. After moving to the United States Victoria continues performing as a soloist, chamber and orchestra musician (San Fernando Valley Orchestra), giving private lessons, and teaching at schools like Yamaha Music School and the Academy of Music and Fine Arts. From 2017 Ms. Victoria is teaching at the Royal Academy. Arpine Botoyan started her musical career at the Moscow Central Music School in City of Moscow, Russia and continued at the Komitas State Conservatoire in Yerevan, Armenia where she completed her Bachelor`s, Master`s and Doctoral Degrees (DMA) under supervision of world renowned professor, pianist of Khachaturian Trio Armine Grigoryan. Mrs. Botoyan has participated in a number of prestigious International Festivals in Russia, Ukraine, Armenia and Georgia. As a soloist she has had performances with Armenian Philharmonic Orchestra and State Youth Orchestra performing the piano concertos by Bach, Shostakovich, Scriabin, Brahms and Heroic Ballad by A. Babajanyan. From 2009 Arpine had an opportunity to work at QSI (Quality Schools International) where she taught private piano lesson. Mrs. Botoyan has many years of experience in teaching private piano with Russian curriculum to conservatory students in Yerevan, Armenia. In 2014 Mrs. Botoyan became a member of EPTA (European piano teachers association). From 2010 – 2015 she had been working at Aram Khachaturian Museum as a pianist, researcher and organizer of different educational programs for students. Her teaching technique is based on Russian and British ABRSM methods. 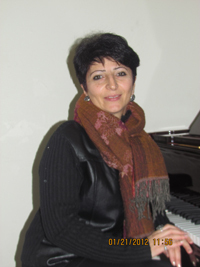 Dr. Susanna Zhamkochyan, a graduate of Komitas State Conservatory in Yerevan, Armenia, and has been teaching piano for eighteen years. She earned her degree in piano performance in 1993 with high distinction. Furthermore, she expanded her musical knowledge to include a Master’s Degree in Choir Conducting and Piano Performance. In 2001 and 2006 she earned PhD in Choir Conducting and Opera/Symphony Conducting. Susanna has worked in many different fields of music ranging from a piano teacher to a choir conductor, to a conductor for the Symphony Orchestra in Yerevan, Armenia. Susanna worked as a piano teacher from 1993 to 2000 at the Music and Art School in Armenia. From 2003 to 2009 she worked at the Komitas State Conservatory as a conductor and professor in the Opera and Symphony departments. In addition to working at the Komitas State Conservatory and teaching, Susanna has taken part in the production and performance of many concerts and operas. From 1996 to 2008, she conducted the choir group for the Blind Union in Armenia. Later, from 2000 to 2008 she toured in Italy, the Netherlands, Belarus, and the United States, conducting symphonies by Schubert, Beethoven, Brahms, Prokofiev, Mendelssohn, and Tchaikovsky in addition to conducting chamber orchestras in Yerevan, Armenia. Susanna’s experience continued to grow after 2005 when she conducted Rossini’s operas “The Barber of Seville” and “La Cambiale Di Matrimonio” and Pergolesi’s opera, “La Serva Padrona.” In 2006 Susanna conducted Prokofiev’s Symphony No. 1 in Moscow, Russia, and in 2008 she conducted Mascagni’s opera in one act called “Cavalleria Rusticana” and Puccini’s “La Rondine” in Yerevan, Armenia. In 2009 Susanna moved to USA with her family and since then has been teaching at the International School of Music in Glendale.Susanna’s wide array of musical experience allows her to give her students a deeper understanding and appreciation of music. Karen Khurshudyan is a graduate of the Sayat Nova School of Music, one of the best music schools in capital of Armenia, Yerevan. After graduation of music school Mr. Khurshudyan earned his Bachelors Degree in Music from the State Music College Named after Romanos Melikyan. 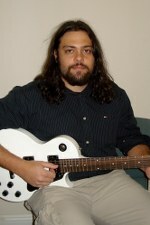 After earning his degree Mr. Khurshudyan started to hold private guitar lessons. He has taught guitar performance for more than 7 years. His students have had great success in pop and rock scene, as well as became participants and winners in various music festivals and competitions. 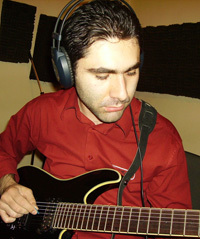 Besides his professional experience as a guitar teacher Karen Khurshudyan is the founding leader of the rock band “Stryfe”. Under the guidance of Mr. Khurshudyan “Stryfe” became one of the most notable Armenian rock bands in Caucasus. Having performed in different Armenian and Caucasian as well as Russian cities, “Stryfe” gained popularity among the fans of heavy music with their further influence on formation of subsequent Armenian rock bands. Mr. Khurshudyan is a composer and songwriter. He cooperated both with his band members and numerous artists.He took part in a number of international guitar festivals. He also organized Rock The Borders and Rock The Referendum international festivals with the support of British Embassy of Armenia and Open Society Institute. Armine Semerjian is a graduate of the Komitas State Conservatory in Yerevan, Armenia. She earned her Bachelor’s and Master’s degrees in Piano Performance and Choir Conducting from 1972 to 1979. 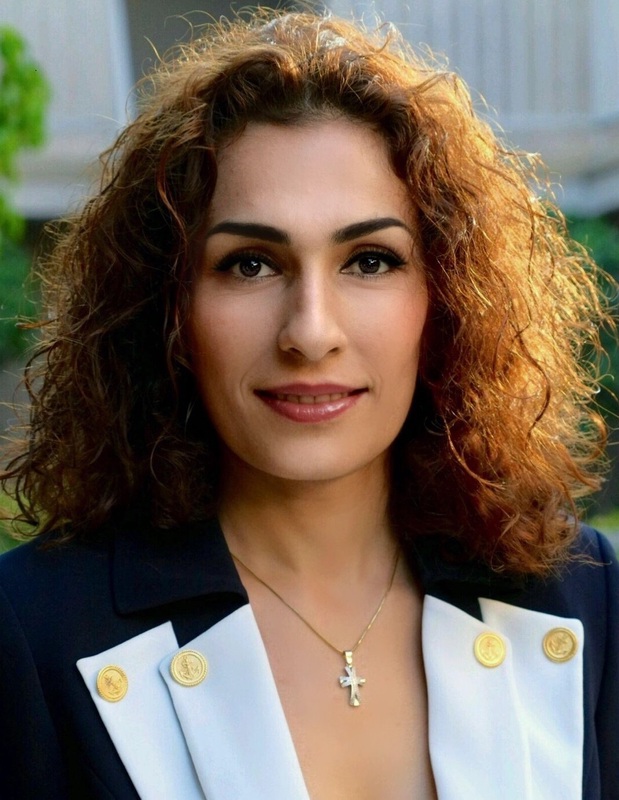 In addition to teaching piano and conducting, she is an organist and has worked at the St. Sarkis Church in Yerevan, Armenia and at the Holy Cross Church in Montebello, California for eight years. Furthermore, she has taught piano from 1981 to 1985 at the Komitas Music School in Hollywood, California. 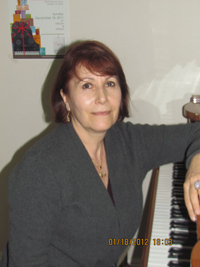 Ms. Armine is a versatile teacher and piano accompanist and has given private piano lessons at various public schools in Armenia and the United States since 1972. During this time, she has accumulated a great deal of experience which translates into her efficient teaching style. Since the mid-1990s, Aram Asatryan, has regularly appeared in solo recitals and has participated in numerous chamber music concerts. Mr. Asatryan has also been a regular member of professional orchestras in his home country of Armenia between 1997 and 2012 including the Symphonic Orchestra of Yerevan State Conservatory; the Orchestra of the Opera Studio; and the Chamber Orchestra of Etchmiadzin. Being an avid practitioner of his craft, Mr. Asatryan is expertly skilled at performing repertory of Western classical music ranging from the early Renaissance period to twenty first century. Additionally, as a freelance artist Aram has actively sought out opportunities to explore the versatility of his acoustic instrument by joining forces with local Rock and Jazz bands in Yerevan and Los Angeles. Likewise, he has found the collaboration with ensembles devoted to performance of ancient Armenian music to be equally as fascinating. Asides the cello, Aram is also fluent on the electric bass guitar, which he picked up at the age of 15. Mr. Asatryan holds a Bachelor of Arts (2007) and Master of Arts (2008) degrees from the Komitas Yerevan State Conservatory, where he studied cello in the class of Professor Medea Abrahamyan—one of the most renowned cellists of the former Soviet Union and the first student of Mstislav Rostropovich. Aram Asatryan has since made it his mission to perpetuate the outstanding pedagogical standards of his mentors and pass on the unparalleled training, which he received as a student, to the rising generation of young musicians. Additionally, his flexibility in adapting various teaching methods from around the world has enabled him to teach successfully in Armenia, Republic of Singapore, and the United States alike. In 2016 Mr. Asatryan joined the faculty of the Royal Academy the Sound of Music. 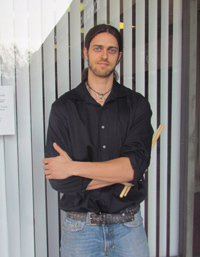 Drumming is an art that Scott has been perfecting and involved with since the early stages of his life. He began studying drums at age 10 and by 13 had already completed his first multi-state tour with the Vineville United Methodist Church, playing for hundreds of people every Sunday and often on television broadcasts. He studied under some of the best and most respected drummers in the world, including the famous and amazing Chris Coleman. Scott was eventually able to showcase his new cultivated, unique playing style and precise technique with the progressive rock band, The Hollow. After recording 2 albums and touring with the band, he received much praise and recognition in the drumming community for his unusually fast hand speed as well as his ability to play effortlessly over odd-time signatures. At age 23 Scott auditioned and won the position as touring drummer for Rick Brantley, a signed and established Nashville country artist. While touring with Brantley, he got the opportunity to play sold out venues in front of thousands of people, often opening for different major label acts such Cross Canadian Ragweed and Grace Potter. Following the Rick Brantley tour, Scott re-located to Los Angeles where he auditioned and landed a position as a full-time touring drummer for Major Label Artist, Megan McCauley, who’s music has been feared in major motion pictures such as Elektra, Fantastic Four and Beverly Hills Chihuahua. As a result of this position, Scott was able to land an A level endorsement deal with the premier cymbal company, Paiste. Scott currently works as an instructor, session musician and also records, performs and showcases in the L.A. area with his new project, Eye of Ember. Scott is fluent in all styles of music including rock,jazz, pop,funk, r&b,metal, country, progressive, Latin, and world percussion. Scott strives to provide students with a foundation from which they can develop and explore their own musical creativity and expression. 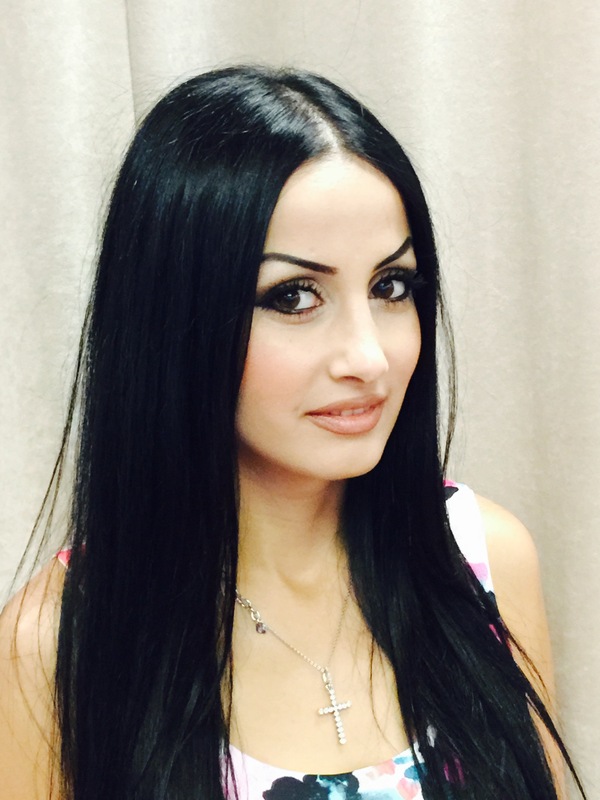 Aida Babikyan has a solid educational foundation and professional experience of teaching more than seven years. She attended the Khazaros Saryan Art School and then continued her musical career by attending Romanos Melikyan Music College graduating with honors. After, she continued her music studies at the Komitas State Conservatory in Yerevan, Armenia, graduating with Master’s Degree in piano. While at Conservatory, she performed many piano concerts, musical evenings, and recitals in solo or group performances; and also accompanied in many vocal, violin, and other musical national competitions. She worked as a music teacher in prestigious Sayat-Nova Music School in Armenia and also worked in her private studio. 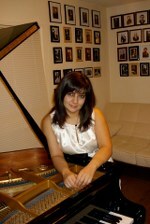 In 2012 Ms. Babikyan moved to the USA and continued her career as a pianist and a teacher. She performed for church fundraising events and Sunday Choirs. Taught piano and music theory in several music schools, preparing students for state tests, competitions, and recitals. She is highly motivated, energetic, and friendly with passion of music. Roy Lev-Ari started playing music in his early teenage years when he fell in love with the guitar and heavy metal music. That combination allowed Roy to spring his passion for music and ever since then he has studied and enriched his knowledge of music.After graduating high school with honors in music Roy decided to continue his studies as a musician and persue an education in music from the prestigious Berklee College of music in Boston Massachusetts. In his years in Boston Roy studied with some of the greatest teachers and learned many secrets of music graduating and receiving a bachelor’s with honors in performance, composition and Music Production. In his Time at Berklee Roy also studied many different styles of music such as Blues, Jazz, classical, Funk, World Music, Rock, Bossa Nova, Samba, Tango and much more. All styles that he is capable of teaching and sharing from beginner to advanced with his students. Roy also began picking up other instruments to further augment his knowledge such as drums, piano and bass. Roy has been playing guitar and bass together ever since. After graduating from Berklee, Roy relocated to Los Angeles to pursue a career in music. In his time in Los Angeles Roy’s talents have placed him many endorsements with companies such as Ibanez guitars, Peavy amplifiers, Earnie Ball strings,Line 6, In Tune Picks, Mental Case and Laney Amplifiers.Roy’s musicianship talents have also allowed him to tour the world, and share stages with many artists such as Metallica, Ozzy Osbourne, Iron Maiden, Korn, Rob Zombie, Limp Bizkit, Green day, Alice in Chains, Avenged Sevenfold, Deftones and many others. He has toured North America extensively and has played in front of sold out crowds all over the Northern Hemisphere of America and Europe. Jasmin Sukiasyan graduated from Ter-Gevondyan Speciasl Music School under an excellent teacher Donara Ermishyan. She continued her musical career by entering to A. Khachaturyan Music College. After graduation she continued her studies and received her Master’s Degree at the Komitas State Conservatory with honors under outstanding professor Margarita Sargsyan. During these years, she appeared in concerts with well known musicians in Moscow, Riga, and St. Petersburg. Also participated and had been the winner in several competitions and gave numerous solo recitals. 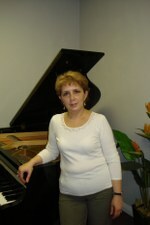 Ms. Sukiasyan has been teaching piano performance for more than 18 years. From 1996-2001 she has been a piano professor at the prestigious Pedagogical Institute in Armenia. In 2001 Hasmik and her family immigrated to USA. Same year she has been offered piano teacher position in Beverly Hills Private Music Studio. 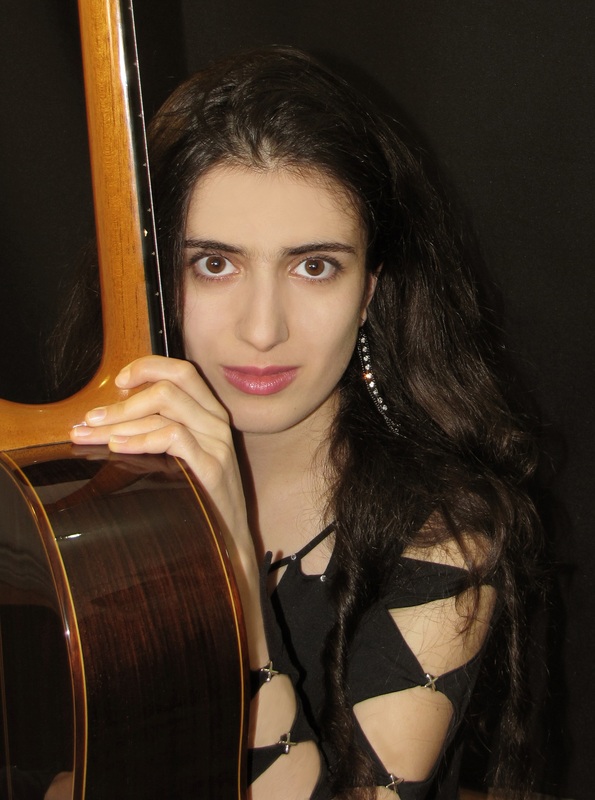 Eva Kochikyan has an extensive experience in music and musicology. She started her music career as a pianist and further pursued it as a musicologist and teacher. 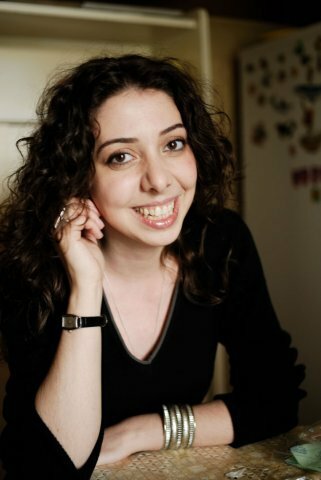 Eva has graduated from Armenian state Conservatory with Master’s Degree in 2003 and since then she has been actively teaching and lecturing in different institutions across Armenia and Singapore. She was a music teacher and method developer in Children Harmonic Development Studios (CHDS) in Armenia before joining Armenian Philharmonic Orchestra’s Program of promoting classical music for children. Eva has also worked as an Arts and Culture correspondent for different magazines r in Armenia.In 2012 Eva was invited to teach at one of the leading music schools in Singapore. She taught Piano, Theory, Aural and Music Appreciation at Tanglewood Music School. In 2014 Mrs. Kochikyan joined the faculty of the Royal Academy the Sound of Music.